Teaching math using games is a concrete way to promote computing efficiency as well as higher order thinking. An area set aside in the classroom, as well as at home, for math games is encouraged to promote continuous math learning and interest. 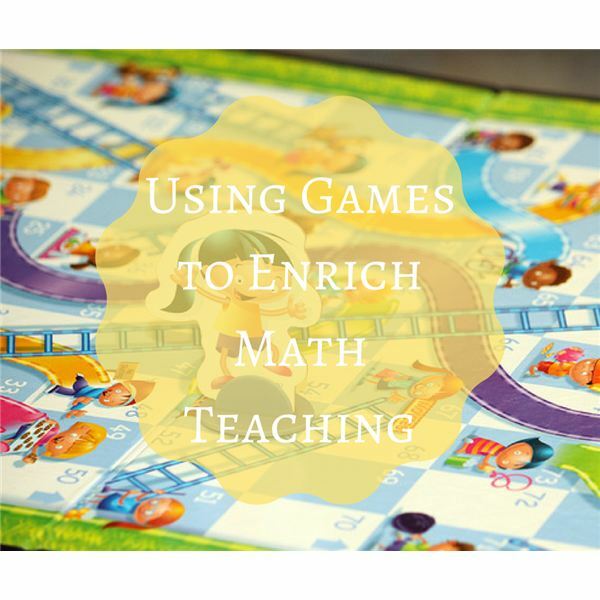 Revisiting old games is a way to improve math skills throughout the year. Practice is the key to success in math. When teaching a new math concept, it is best to propose a task (investigation) to students that will engage them in solving an everyday problem while introducing them to a new concept. One of my favorites in introducing fractions to a range of elementary students is by using food. For example, giving students a problem with a set number of people and asking them to use a specific amount of food. Pizza is the easiest. Let me give you an example. If I had two pizzas cut into eight slices each, would I have enough to feed a family of six with an average of two slices for each person? Yes, of course, and there would be some left over. Having children draw their problems and illustrate their solutions using pictures and words (and numbers, of course) to explain their thinking. There it is in a nutshell: math is thinking, and we need to create a learning environment that is fun and allows children to think in a real world situation. After introducing a math topic using an investigation task, students should be exposed to many versions of this concept. Using the internet, students can watch math videos on MathPlayground.com or visit various websites to play games specific to grade level and concepts. Many math games allow students to solve problems in a concept area with a timer or with specific rewards that encourage them to keep thinking and playing longer. Students should also be encouraged to explore math games using dice, cards and board games that enrich their learning. The basic math facts of addition and multiplication can be improved using dice or playing cards. Combining a variety of math facts and problems can be mastered playing board games. Day 1: Look at various board games and discuss/list properties they all share, such as rules, cards, dice or pieces. Day 2: Look at names of board games and talk about their meaning and how they are displayed throughout the game. Candy Land is a good example, as it has a beautiful board centered on candy. Day 3: Brainstorm new math board game titles. Students decide what game title they wish to create. Students begin to picture what their game will look like. Day 5: Students start a sloppy copy of their board game. At this time, students decide on board style, what supplies they will need and try to add excitement to their board. Teacher can review and edit rules. Day 6+: Students make their board game. Edited rules are glued on back of their game board for reference. When everyone is done with their board games, students can have a day of sharing each other’s games before bringing home to enjoy with their family. It is important to encourage students to have a place at home to leave these fun activities to practice at home with their family. Students can choose to leave their games in math game center until next games are taught. Throughout the school year, I will use this board game activity especially to reinforce major concept areas like addition, subtraction and place value. At the end of the school year, I give students the opportunity to make some board games for the summer using all of our leftover craft supplies. This is an engaging activity for the last week of school when students are focused on summer fun. At the end of the year, if students go home with math games, as well as a list of sites we have used all year, they will be more apt to keep up their skills during the long break of summer from learning. Get your students engaged with math, from Kindergarten to Grade 5!